Travel can be one of the most rewarding forms of introspection …. When I stepped off flight EZY1973 from Manchester to Paphos on Saturday night I passed a personal milestone. Arriving in Cyprus means that I have now visited all 28 Member States of the European Union. Starting with (West) Germany in 1972 on an exchange visit before the UK was even a member of the European Economic Community, followed shortly after by a family holiday to southern Austria (where my father had been stationed just after the war) with a day trip to Slovenia (then part of Yugoslavia), the number started to increase in the late 1990s when I became involved in the work of CEN, the European Standards Agency and, from the mid-2000s onwards, with the intercalibration exercise associated with the Water Framework Directive. A few years ago I made a list and realised just how many I had visited, after which, I have to admit, my choice of conference and holiday destinations was driven by this rather childish whim. Latvia, Malta and Bulgaria, all subjects of posts on this blog, were ticked off, leaving just Cyprus. This year, a family holiday to celebrate my mother’s 80th birthday provided the opportunity and, after some shameless lobbying, we had booked a villa near Paphos via AirBnB and were on our way. How Europe has changed in the 47 years since my first overseas trip. Twelve countries were behind the Iron Curtain, three of the remainder were right-wing dictatorships. Two have merged (East and West Germany) whilst seven have become disentangled from previous relationships (the Baltic States from the USSR, Slovenia and Croatia from the former Yugoslavia and the two former constituents of Czechoslovakia from each other). 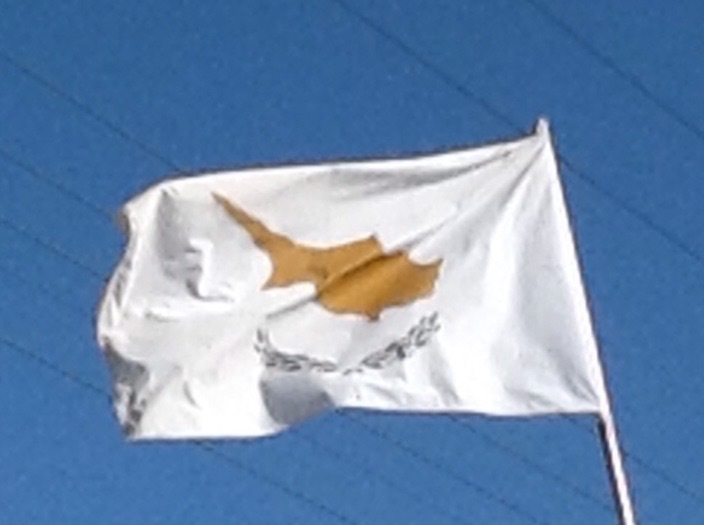 Cyprus, from where I am writing, was in political chaos in the early 1970s. A former British colony whose territory was argued over by Greece and Turkey, it was soon to be split into two, separated by a buffer zone. I used to browse my Collins World Atlas assuming national borders to be fixed and immutable; the older and wiser me wonders where (and when) the next changes will come from. The intercalibration exercise, in particular, was an opportunity for an exchange of ideas and I counted co-authors from 23 of the 28 EU states on my publication list. Looking back, these papers show remarkable consistency in some aspects of ecology across Europe whilst, in other respects, I am much more cautious about assuming that knowledge gained in my damp corner of north-west Europe can be applied to warmer and more continental regions. This publication list includes, incidentally, two papers about Cyprus, despite never having either visited before or having a native Cypriot on my list of co-authors. In the first paper, we worked with an Austrian employed by the Ministry of the Environment but, for the second, the samples were collected and analysed by Italians and Germans whilst I helped out with data analysis. Scientific colonialism is not, perhaps, dead? My favourite? I don’t think I should single one of the 28 out. The food and culture of the warm lands of the Mediterranean basin draw me but I think that the parched summer landscapes would lose their appeal if I was there for too long. I find the grey, damp climate of my own corner of Europe wearisome but the greenness of the Spring and Summer, and the Autumn colours almost compensate. My ideal, in other words, seems like it should be a semi-nomadic existence but that, too, would pale with time. The truth is that, for me, elsewhere, being wanted, is always more wondered at …. This entry was posted in Brexit and the EU, travel, Uncategorized and tagged Cyprus, Europe. Bookmark the permalink.